UTL offices in Kampala | Photo by : East African Van Guard. The directive was issued by the Secretary to the National Treasury, Keith Muhakanizi in a statement dated September 14th. Muhakanizi, in the statement said the move was meant to lower the cost of sourcing internet to government agencies although there are a number of reasons surrounding the same. Key among the reasons government gives is the cost of internet which they say is high and that UTL would offer the same services at a reduced cost. Sources inside government have revealed that prior to the directive, UTL management approached government with an offer to provide internet at USD$100 per mbps. The offer, though considerable low seems impossible to maintain or execute, considering UTL has loads of debts and has been through a tough management crisis. UTL which has been under receivership having been declared bankrupt in May, is currently not offering any internet services on the market. It is being managed by Uganda Registration Services Bureau (URSB) Registrar General, Bemanya Twebaze who is the government’s official receiver. On the contrary, NITA offered the same services at the rate of USD$300 per mbps as of June 2017. In July 2017, the Authority signed a contract to acquire an IRU (Indefeasible Right of Use) and lowered the price to USD$190 per mbps. PC Tech Magazine has learnt that by the time NITA-U took on provision of internet in 2012, government was buying at the rate of USD$1200 per mbps, a cost which has been reduced by close to 90% in less than 5 years. NITA is currently providing internet to over 270 government sites across the country, that on top of hosting other private companies including Africell, Rock Telecom, C-Squared among others. Aside from Internet pricing, the move is also intended to help UTL rise on its feet and become fully functional again. 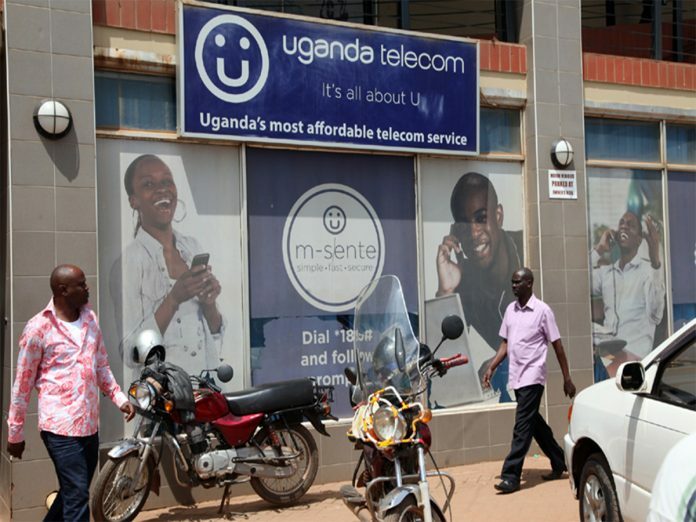 A parliamentary investigations committee recommended that the telco be shut down although President Museveni through Investment Minister Evelyne Anite insisted it should be helped rise again. But Uganda Telecom owes close to 800 billion UGX to a number of companies and organisations and also requires operational costs if it is to match other existing telcos. This website understands that NITA-U gets 10 billion UGX from the ICT fund for the internet services provided per year. If UTL gets the same amount or less, it would take the telco close to 80 years to settle the debt and later start on improving infrastructure. He argued that this seizes the mandate of his ministry, which is charged with among others implementing the broadband strategy among other ICT aspects. In a statement to Prime Minister Ruhakana Rugunda, Tumwebaze pointed out that the directive contradicts government’s 2012 decision to use the National Backbone Infrastructure (NBI) for all its internet under the management of NITA. Tumwebaze says there should be proof first that this is possible, especially now that UTL is not offering these services at the time. He said, his ministry would have expected a proposal from UTL demonstrating how they plan to offer cheaper internet services sustainably and below what government is getting from NITA’s NBI, one which they didn’t get. “A possible partnership between UTL and NITA would have been explored to build synergies and deliver cheaper internet to the MDAs and the public, but not jeopardize the NBI already in existence, and which government invested in heavily,” said Tumwebaze. That notwithstanding, accounting officers from all ministries, departments and agencies on Friday met at the Finance Ministry offices in Kampala to be guided on the implementation of this directive. Editor’s Note: This story will be updated …… Developing!!! BLOG: Is being a developer the same thing as being an innovator?